From writer Simon Spurrier (X-Men: Legacy) and superstar artist Ryan Kelly comes the darkly folkloric CRY HAVOC, VOLUME 1: MYTHING IN ACTION, which collects issues #1-6 in trade paperback this August. Meet Lou: a street musician savaged by a supernatural terror. Meet Lou: a civilian crossing war-torn Afghanistan with a unit of shapeshifting soldiers. Meet Lou: a monstress held captive by the rogue beast she was sent to kill. CRY HAVOC interweaves three stages of a remarkable life into a critically-exalted saga of military, myth, and mania, including an unprecedented use of multiple colorists (Matt Wilson, Lee Loughridge, & Nick Filardi) to define the story's threads. 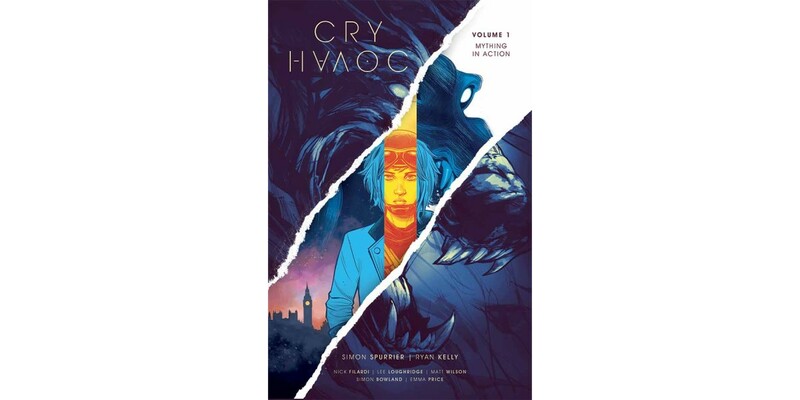 CRY HAVOC, VOLUME 1: MYTHING IN ACTION (ISBN 978-1-63215-833-8) hits comic book stores Wednesday, August 17th and bookstores Tuesday, August 23rd and will be available for $14.99. It can be ordered by retailers through Diamond Book Distributors with the Diamond Code MAY160675. It can be preordered now via Amazon, Barnes & Noble, Indiebound, and Indigo.